New Plant benches: Bryan has been busy at the nursery making some very smart new plant benches. These will make it much easier to look at our Alpines, Perennials and Grasses without having to bend down so far. Come and have a look! 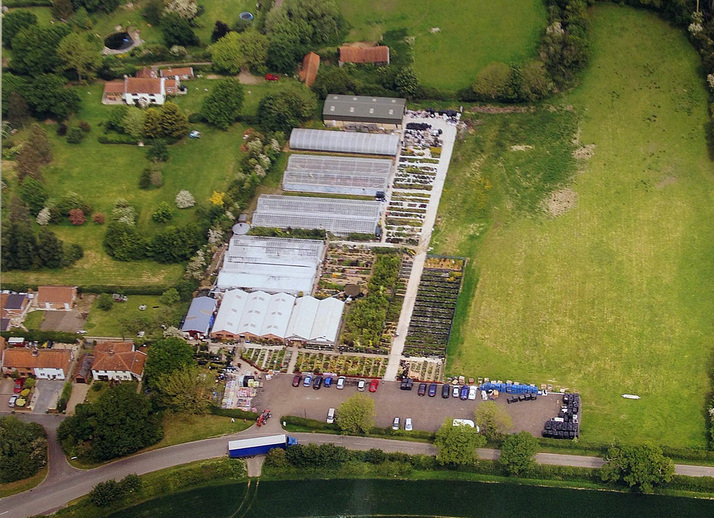 Homestead Nurseries is situated in the small village of Kirstead Green just off the B1332 between Norwich and the historic market town of Bungay. We are a traditional family-run nursery growing and supplying a large and varied range of high quality plants, without the high prices associated with some of the larger garden centres. We have a real passion for plants and this focus shows throughout the nursery, where you will find us and our friendly, knowledgeable staff available to offer free advice on all aspects of planting. We believe that our prices are highly competitive and we strive to keep them this way. We are constantly changing our stock of plants throughout the year as the seasons change and new stock becomes available. If you do not see what you are looking for, just ask, as we may well have some growing on and can usually tell you when it may be ready. If we don't have what you are looking for in stock, we can often source it from one of many other growers in Cambridgeshire or Lincolnshire as well as suppliers from Holland, Germany, Denmark and Italy. Alongside our plants we also stock a wide range of terracotta pots from names such as Apta, and Yorkshire pots. With many at reduced prices saving you pounds off the recommended retail prices. We also have rustic real oak tubs as well as hanging baskets, basket and trough liners, plant supports, plant feeds, plastic pots and trays, vegetable, flower and grass seed, as well as a wide range of composts, bark and decorative aggregates. We could not possibly display the entire extent of our range on-line, instead we highly recommend that you visit us personally, we are sure you will not be disappointed.